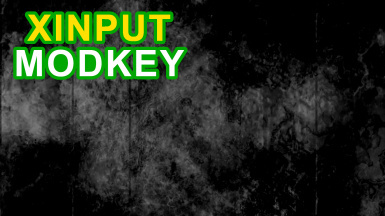 Allows free gamepad button remapping or assigning to keyboard keys. Fully configurable through SkyUI interface. GNU LESSER GENERAL PUBLIC LICENSE Version 3 (LGPL v3). 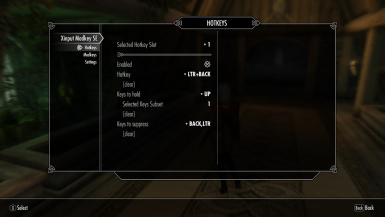 Modkeys and hotkeys for gamepad buttons using Xinput with in-game only configuration. This plugin does not alter any existing gamepad or keyboard configuration that the game provides. All settings are made independently, so they can be turned on or off individually at any point; or completely by deinstalling the plugin. Not much to say otherwise. Try browsing through its in-game settings to get into the greater details. This is an open source project. Source code can be found in the download section. Install with mod manager (eg. NMM or MO2). Correct archive content structure provided. No special step required. Make sure you download Mod version compatible with your game version. As of Mod version 1.1 provided are archives for game v1.5.73 (the latest) and v1.5.62. 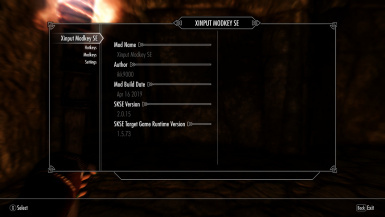 Skyrim SE compatibility 1.5.73 and 1.5.62. More information shown on the status screen. If installed for wrong version, an error message before the game start. This project Is using Papyrus scriptsing, SKSE and SkyUI functions. Internally, Xinput is used to filter gamepad buttons and tp generate new inputs. This project is build using Microsoft Visual Studio 2017 C++ compiler. Only compiler is used and not IDE. Compiler configuration used should be quite standard, but if it's requires to know all the options, then the project configuration can be obtained from "project.cbp" file, configuration for Code:Blocks IDE. 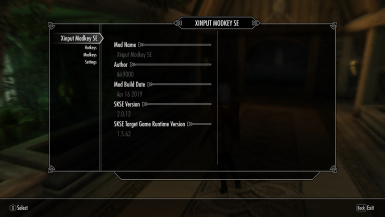 If you would like to use it with some other game, not only Skyrim SE, then you can try my other project called Xinput Modkey that can be found here﻿. Bug reports, any corrections or suggestions are welcome.